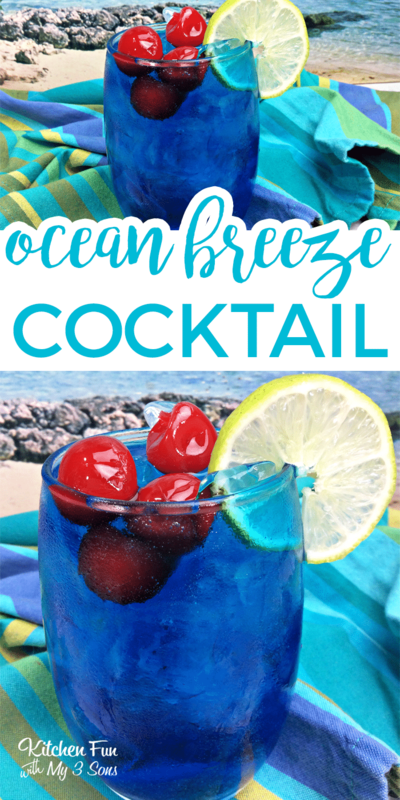 Add your vodka, blue curacao and 3-4 pieces of ice in a bar shaker. Pour your mixture into your glass filled with ice. Garnish with cherries and a lemon wedge.